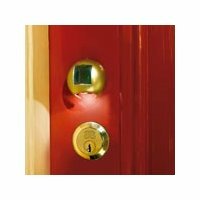 It is bad enough that your porch isn’t lighted up at night, making it hard to open the lock on your door, but things get even worse when you’ve had a wee bit too much to drink, so even finding the right key can be quite the challenge. The Solar Keyhole Light could help alleviate some of your troubles by offering a green way of powering your door area so that you can get in soonest possible during the night. An energy-saving white LED is powered via an integral solar panel that harnesses the suns rays to recharge the internal battery – great for you and the environment. The solar light stays on for 10 seconds, giving you plenty of time to unlock and open the door before the solar key light automatically switches off to conserve energy. For folks who like choice, this one comes with a trio of interchangeable covers that provide a greater variety of mix-and-match combinations. The Solar Keyhole Light will retail for £12. Excellent work. You have gained a new fan. Please keep up the good work and I look forward to more of your interesting posts.